Fisher FFA got to “celebrate the farmer in all of us” at the 2018 National FFA convention. The convention took place October 21-24 in Indianapolis, IN. 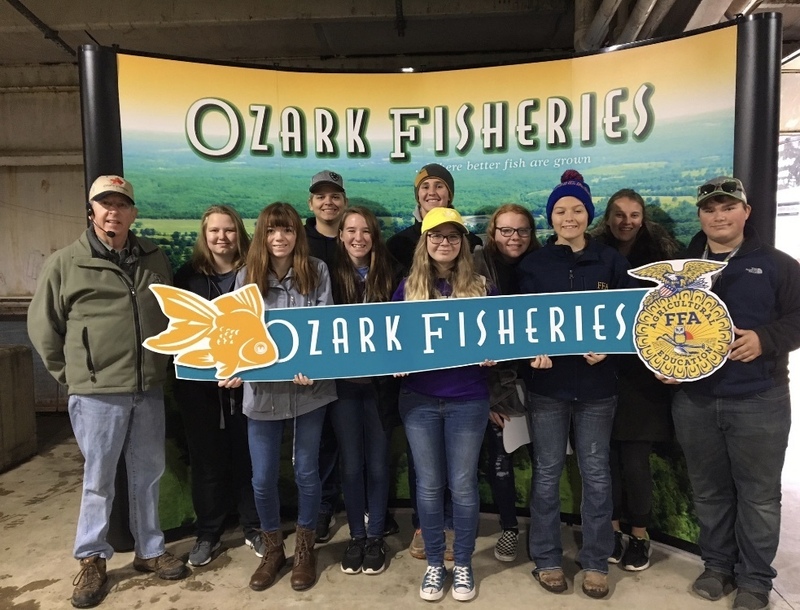 10 members of our Fisher FFA took part in the “Just One” theme trying to get kids to take part in new opportunities and see that one encounter can change your life. The convention itself helps celebrate the accomplishments and also find new ideas for the future. The convention consisted of guest speakers, tours, and even a concert by the one and only Garth Brooks. This convention is an important part of FFA. “The convention is important because students get to see a variety of agricultural business.They get to network with colleges,companies,and also industry,” Fisher FFA advisor Jennifer Boberg said. FFA is the largest youth organization in the nation. There are a total of 653,359 members of FFA ranging in ages 12-21 throughout the U.S., Puerto Rico, and the Virgin Islands. As more kids become interested in this hands on organization they are realizing the potential their fellow members and themselves have. “The convention is an amazing time. I love reconnecting with other teachers. Most of all, I love seeing the energy and excitement of the students when they tell me all the things they saw and learned,” Boberg said.